Vinsys is the EXIN and PeopleCert Accredited Training Organization. We offer certified course material and mock exam practices. PRINCE2®, a de facto project management method from UK, has multiplied and become one of the most popular project management techniques around the globe. On the other hand, according to an international Talent GAP Report 2013, project management profession is growing into an independent career and it is predicted to be a 6.6 Trillion dollars mammoth industry, by 2020. 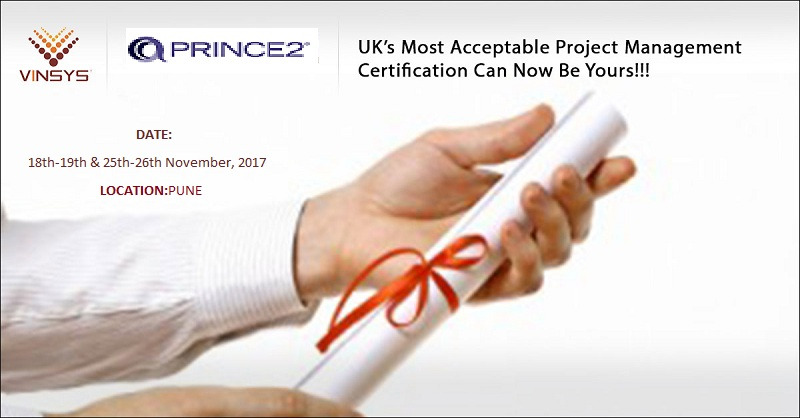 To cash on this opportunity, many professionals worldwide are opting for PRINCE2® certification because of its growing demand in UK, European and Australian Markets.